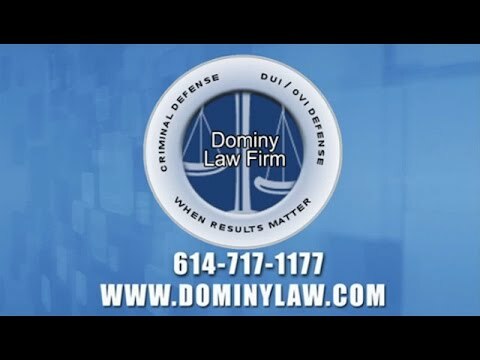 The focus of the Dominy Law Firm, LLC is representing clients charged with criminal offenses and DUI / OVI offenses in Columbus, Ohio (Franklin County) and the central Ohio are. We recommend educating yourself about your situation before making any decisions about your case. One great way to do that is the website of the Dominy Law Firm. For DUI / OVI cases, another great way to learn more is to read the book Shawn Dominy authored: 'I Was Charged With DUI/OVI-Now What?!'. That book is available for sale online, and the e-book can be downloaded for FREE on our website. If you do your research and decided you want to hire an attorney, you can contact the Dominy Law Firm, LLC for an initial consultation. Our fees are relatively high, but the initial consultation is free. My practice is limited to DUI/OVI defense and criminal defense. I was a partner in a law firm focused on criminal defense and DUI/OVI defense. Field Sobriety Tests: What Do They Really Measure? Chemical Alcohol Test: An Offer You Can't Refuse? The Dominy Law Firm charge flat fees, so you will know at the outset the exact fee for representation. Amazon: I Was Charged With A DUI/OVI-Now What?! Book: I Was Charged With DUI/OVI - Now What?! DUI/OVI In Columbus And Central Ohio: What Do I Do Now?